This winter morning in downtown Austin, Texas, found me photographing some of the architecture that the capitol city can offer. 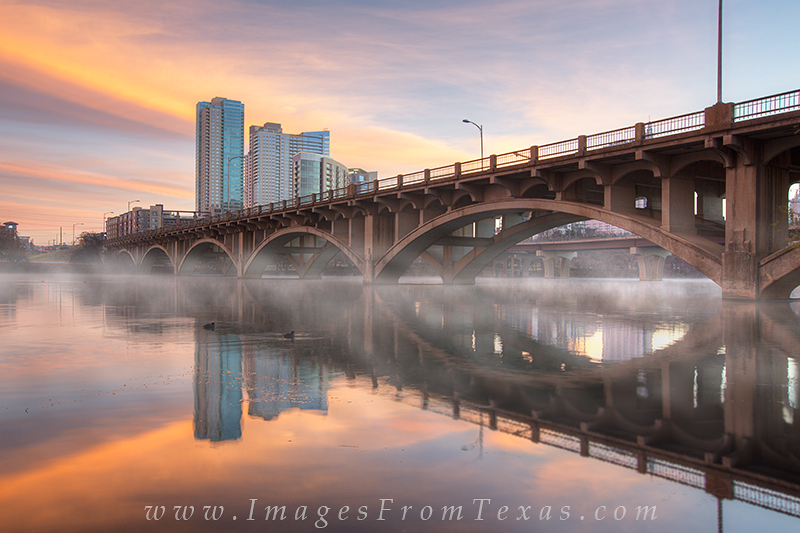 Here, the Lamar Street Bridge crosses Lady Bird Lake, connecting the SoCo area to downtown. A portion of the skyline rises into the pastel colored sky and fog was rolling off the water. Photo © copyright by Rob Greebon.